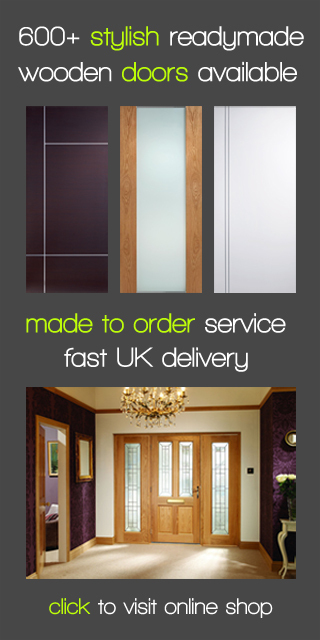 Modern Doors clarifies the subject of U-Values for external doors. The subject of U-Values – particularly in relation to replacement doors, home extensions or new build projects – is a source of significant confusion and one that we, at Modern Doors, have almost daily experience of dealing with. Here we will take a look in a little more depth at this term and, hopefully, provide some clarity regarding the latest Building Regulation documentation. The simple definition of a U-Value is the measure of the rate of heat loss through a material. It is clear that this is of central importance in home improvement and construction – particularly in the modern building industry – as one seeks to achieve the lowest U-Value possible as this will mean that less heat is escaping and therefore the home is more energy efficient. Naturally, external doors represent a significant area of potential heat loss (and internal doors also represent important heat buffers) and, as such, the design and quality of your replacement doors are vital. However, whilst defining it is relatively simple, the U-Value calculation itself is rather more complex. It is measured by the amount of heat lost through one square metre of the material for every degree difference in temperature either side of the material – a measurement that requires time, experience and appropriate equipment to capture. Fortunately, door manufacturers and suppliers should be able to confirm the approximate U-Value on all products in their range as these will have been established through formal testing earlier in their development. To summarise the information for you, when are fitting internal doors in an existing dwelling, you should be seeking a U-Value of no more than 1.8W/m2K (assuming you are installing the new door into a new door-frame). However, where a new build is concerned, the customer must establish their own U-Value and it cannot exceed 2.0W/m2K. At Modern Doors, the complexities of modern building regulations are a regular backdrop to our work and, as such, we understand better than most how confusing the whole area can become – that’s why, when it comes to the design, fitting and maintenance of both external and internal doors, we are always pleased to provide advice and support – please feel free to contact us today with your queries.